Catherine moves house and finds a novel which she can’t remember buying. But this is no ordinary book. It pretends to be fiction, but Catherine recognises herself as one of the characters and the story discloses a secret. 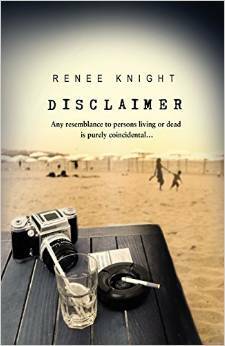 “A secret she has told no-one, not even her husband and son – two people who think they know her better than anyone else.” So, Disclaimer by Renee Knight includes a novel-within-a-novel. This novel explores how one secret, hidden and almost forgotten, can re-emerge 20 years later to do damage. But it is also a warning about the danger of making assumptions without all the facts. The reader makes assumptions, Catherine’s husband makes assumptions, and the writer of the novel makes assumptions. Nothing is what it seems, in the tradition of good thrillers, and this book will make you believe first one version of the truth, and then another. Which is the real one? Is Catherine a good mother, or a bad mother?